Maintenance | Synconics Technologies Pvt. Ltd.
and Schedule maintenance while minimizing downtime. 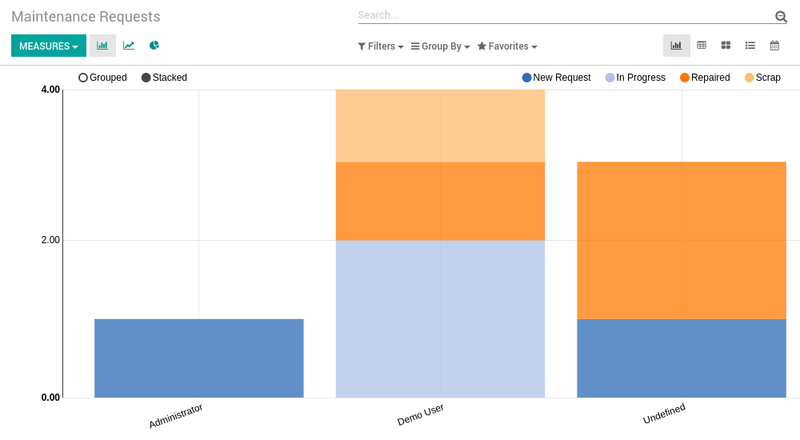 Preventive Maintenance: Trigger maintenance requests automatically based on KPIs. Corrective Maintenance: Trigger corrective maintenance directly from the control center panel. 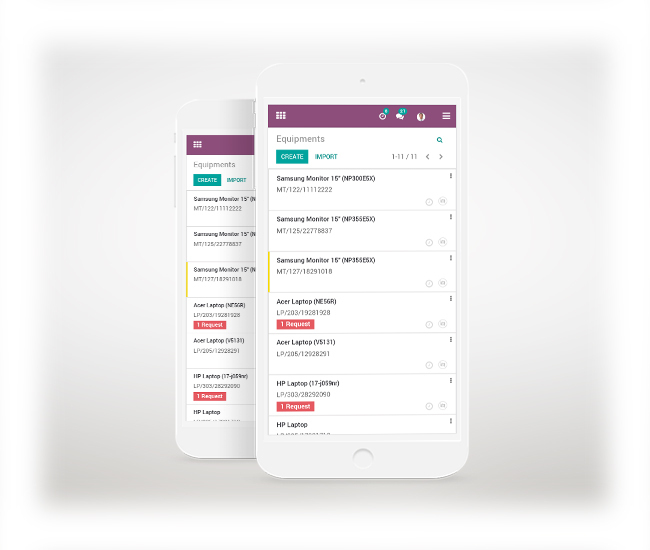 Calendar: Schedule maintenance operations with a calendar. Statistics: Get all maintenance statistics computed for you: MTBF. 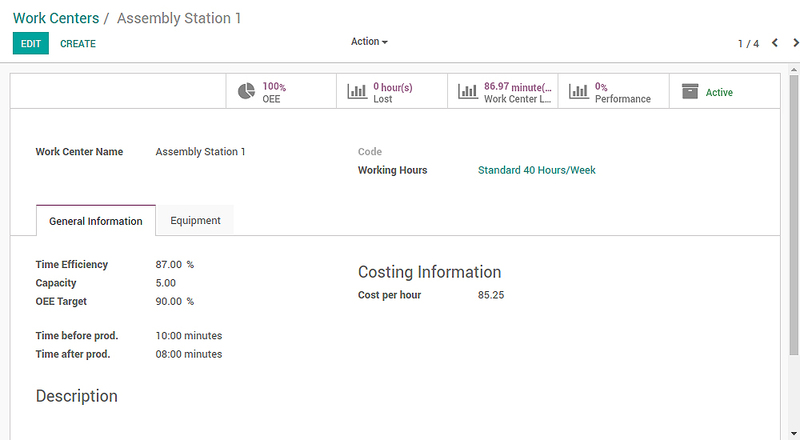 Odoo computes standard statistics to help you plan preventive maintenance, including mean time between failure (MTBF), mean time to repair (MTTR) and expected next failure date, and lets you automate metrology and preventive maintenance scheduling. The manufacturing department can trigger maintenance requests directly from their work center control panel. 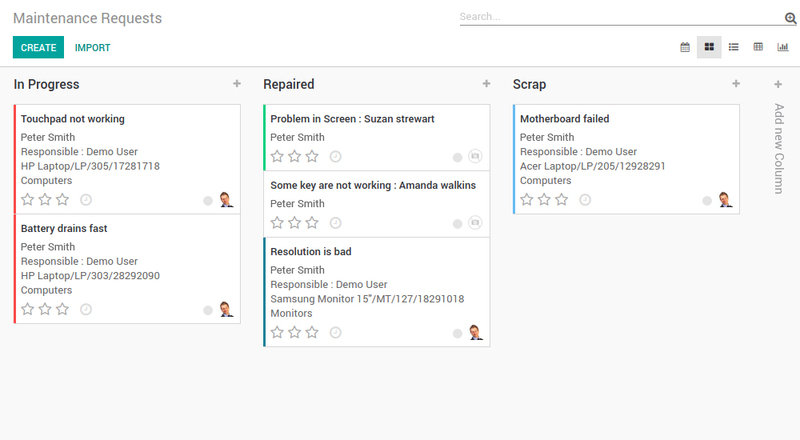 When your maintenance team acts, the right people will be updated in real time. Better communication reduces downtime and makes your manufacturing more efficient.